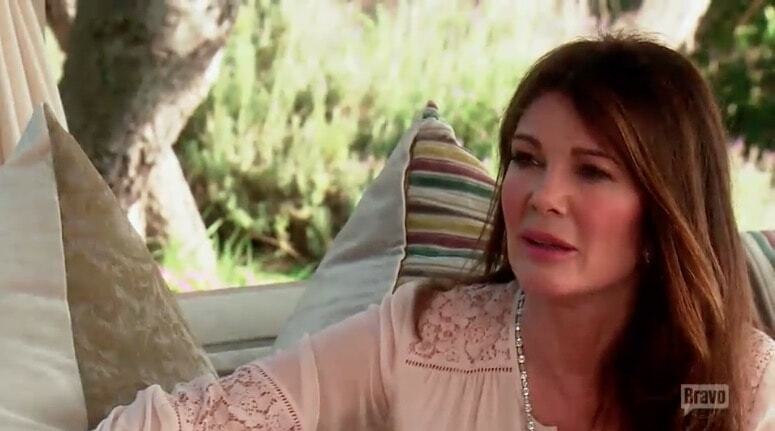 Lisa Vanderpump thinks a tiny bird with a tiny baggie has been stirring up a potent brew of trouble on Real Housewives Of Beverly Hills… and she can’t help but wonder why? Using her weekly blog to, as she says, “dissect these complicated dynamics,” Lisa is confused about why Eden Sassoon has Kim Richards‘ sobriety (or lack thereof) so on her radar. “For the life of me, I cannot comprehend how this story is so rapidly progressing in a direction I didn’t predict… How can one diagnose another individual after a fleeting interaction? ” Lisa muses. RELATED – Kyle Claims RHOBH Saved Kim’s Life. RELATED – Kim’s Dog Bites Again – This Time Kyle Is Sued! On a more positive note, Lisa loved seeing Erika Jayne “fulfilling her dreams” in Mykonos. My turn: I don’t know what Lipsa’s motives are for discussing Kim, and I don’t believe it’s a long-harbored vendetta. I think she’s just a gossip. Whatever the case I wish it would stop because really, this again? I think Bravo could give Eden and Lipsa something better to do. That said, I refuse to engage in the poor whittle tortured Kim nonsense. That woman has done and said horrible and atrocious things, and while I feel for her battle with sobriety, I am not about to cut her slack and excuse all her past wrongs. Sorry, guys! TELL US – DO YOU AGREE WITH LVP THAT LISA RINNA PLANTING SEEDS OF DOUBT IN EDEN’S EAR ON PURPOSE?